The controversy over genetically modified food has resulted in large-scale market and consumer backlash, even litigation, posing material risk for investors of companies using GMOs. The vast majority of GMOs grown in the U.S. produce insecticide or survive direct application of herbicide, usually glyphosate (the primary ingredient in Roundup). Glyphosate is the world’s most heavily used herbicide; it has been classified as a probable human carcinogen by the world’s leading cancer authority. To learn more about GMOs read our FAQs. To learn more about glyphosate, read our report: Roundup Revealed: Glyphosate in our Food System. 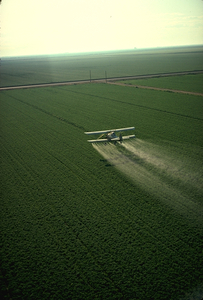 Note: “Pesticide” is an umbrella term that includes herbicides, insecticides, fungicides, etc. The Campbell Soup Company, the world’s largest soup maker and owner of well-known brands like Pepperidge Farms and Spaghetti-O’s, has announced it will become the first major food manufacturing company to label all U.S. products that contain genetically modified organisms (GMOs). Campbell’s has distinguished itself from many of its peers by calling for federal mandatory labeling standards for foods with GMOs. 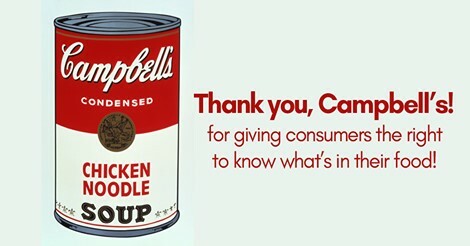 About three-quarters of Campbell’s products contain GMOs, and if a federal labeling standard is not established in a “reasonable amount of time,” Campbell’s says it will work independently to disclose the presence of GMOs in its products. The company did not specify a timeline. Following Three Years of Shareholder Proposals, Consumers Will Have Non-GMO OptionAbbott Laboratories, producer of market-leading Similac Advance baby formula, has announced that it will offer a version of its formula made without genetically modified organisms (GMOs) to U.S. consumers by the end of the month. The move comes after three years of engagement and shareholder resolutions from As You Sow and pressure from other investors and grassroots groups. Similac Advance is the number one commercial baby formula brand in the U.S. Abbott joins a growing number of companies offering popular brands made without GMOs, including Original Cheerios, Grape Nuts, Kashi, Ben and Jerry’s ice cream, Chipotle food products, Smart Balance, and Hershey’s Kisses. Whole Foods Market will label all food in its stores for GMOs by 2018. For the third year in a row, shareholders at Abbott Laboratories’ annual meeting on April 24 will vote on our proposal to disclose which nutritional products contain genetically modified organisms (GMOs), and what actions the company is taking to reduce or eliminate those ingredients. Abbott has serious transparency issues around the ingredients it sources. The vast majority of GMOs are engineered to sell more pesticides, and pesticide overuse is causing major environmental problems. Consumers associate Abbott brands with environmental problems, and this is a material risk to investors. To learn more about GMOs, read our FAQs. Our shareholder proposal calling for Monsanto to disclose all lobbying payments was supported by 24.5% of Monsanto shareholders, collectively representing $10 billion. The proposal was brought forward as part of a coalition of investors advocating for lobbying disclosure, coordinated by AFSCME and Walden Asset Management. The resolution calls for the company to disclose policy and procedures governing political lobbying; all payments used for direct, indirect, or grassroots lobbying; and all payments to organizations that write and endorse model legislation. Lobbying can create unnecessary risks to a company’s reputation by alienating their customers. Shareholders are demanding transparency so that we can determine whether the company’s lobbying could endanger our investments. Monsanto’s management has been channeling money through third parties to hide their involvement – it’s critical for investors to see the full picture. The high vote at Monsanto demonstrates increased investor awareness of lobbying liabilities. A similar As You Sow resolution with DuPont will be voted on at the company’s annual meeting in April. After dialogue with As You Sow, Dow Chemical agreed to increase its lobbying disclosures and report every organization to which the company gives more than $25,000 per year. As concern rises over political spending by the grocery industry, As You Sow has organized an investor letter sent to the top 50 corporate opponents of GMO labeling ballot initiatives in California (Proposition 37) and Washington (Initiative 522). The letter to public companies was signed by 45 wealth management and investor advocacy groups representing $36 billion, while the letter to private companies was signed by 38 groups representing $18 billion. The letter describes the American public’s deeply unfavorable opinion of corporate money in politics, and the backlash suffered by companies that spent corporate funds to oppose Proposition 37 and Initiative 522. Investors are concerned that draining corporate funds to oppose these initiatives is especially unproductive as GMO labeling laws and bans continue to gain momentum, including a recent labeling law in Vermont and two countywide cultivation bans in Oregon. In 2013, As You Sow and 27 other organizations voiced their concerns to the top 50 donors opposing California’s Proposition 37. Although many companies continue to expose themselves to unnecessary risk, 14 of the top 50 donors opposing Proposition 37 in 2012 chose not to spend corporate funds to oppose Washington Initiative 522 in 2013, signaling recognition of the unnecessary risk that companies face when they spend to oppose ballot referenda and consumer’s right to know. The letters were sent to 50 companies – read the letter sent to Monsanto. On Tuesday, September 23, 2014, Harriet Crosby presented As You Sow’s shareholder resolution on GMO labeling at the company’s annual meeting. The following has been adapted from that statement, and was originally posted by Friends of the Earth. Thank you, Ken. It’s so good to be here with you today. My great grandfather, John Crosby the third, Honest John, cofounded General Mills with Cadwallader Washburn in 1877. It was then known as the Washburn Crosby Company. Honest John was one of the early pioneers who turned Minneapolis into the flour manufacturing center of the world in the 1880’s. He was a hard working, practical problem solver and he always wanted General Mills to be a good food company with an excellent reputation. Betty Crocker, an icon of trustworthy and wholesome values, used the radio WCCO to teach housewives how to bake good bread with Gold Medal flour and yeast. As a proud stockholder, I am concerned about our reputation as a company that uses genetically modified organisms. I think we can do better and improve our brand and the value of General Mills by eliminating GMOs from our products. I am here to ask for your help in making General Mills a world leader producing the healthiest and most wholesome food in the world by phasing out genetically modified ingredients. Most of the members of my Crosby family know about the dangers of genetically modified foods and try to avoid them. Ninety-three percent of the American people would like to see GMO’s labeled, according to a recent New York Times poll. And the Hartman Group reports that 40 percent of the American people try to avoid buying GMOs. Around the world, 64 countries either ban GMOs or require them to be labeled, including the European Union, China, Russia, India and Japan. Countries of the European Union don’t allow any GMOs and all the products General Mills sells in Europe are GMO-free. If we can profitably produce GMO-free foods there in Europe, why not here? The issue here isn’t just if GMOs are perfectly safe or not. Basically GMOs mean more pesticides in our foods. Ninety percent of GMOs planted in the U.S. are designed to be herbicide tolerant—which means you can spray massive doses of herbicides, such as Round-Up, without killing the corn or soy. As a result, glyphosate, the central ingredient in Round-Up, is killing all the plant life except for the corn or soy and contaminating the soil, water and air of our farmlands. GMO’s increase the use of pesticides. The extensive use of these pesticides has led to a growing epidemic of super-weeds that are resistant to Roundup. This in turn is leading to the use of even stronger, more toxic herbicides, like 2,4-D, a component of Agent Orange, which was used as a defoliant during the Vietnam war. Farmers spray more pesticides, prophylactically, everywhere, more often, to kill these super weeds, and then they get into our food and into our blood. Tests are showing glyphosate in human blood. USDA has just approved a new genetically engineered seed that will tolerate 2,4-D, even as its own studies acknowledge that this will likely triple the use of this toxic chemical by 2020. As a result, this poisonous pesticide will inevitably wind up in our food and in our blood. Is this the kind of healthy, wholesome, good food that we expect from General Mills? GMOs are not good for people, animals or the environment. Who wants them anyway? They are only good for big biotech companies like Monsanto that sell both the genetically engineered seeds and the pesticides they are designed to tolerate. The promises of biotechnology are yet unrealized, especially the erroneous claim that they require fewer pesticides. Just the opposite is true. We are not just killing the weeds and the milkweeds that the Monarch butterflies need. We are also killing ourselves. We are engaging in a chemical arms race with nature that we are bound to lose. Wouldn’t you prefer to put your faith in nature rather than relying on biotechnology? It’s great that General Mills replaced GMOs in the Original Cheerios, but the other 12 flavors of Cheerios, Wheaties and hundreds of other products still contain GMOs. I believe that General Mills can become an even better, more profitable company by taking global leadership in producing healthy, wholesome, good food without GMOs. General Mills has bright, innovative, forward thinking leadership, like Ken Powell here and his team, that can solve this challenge of phasing out the use of genetically engineered ingredients. They know how to produce GMO free foods in Europe and Asia, and they can do the same here. We will capture new markets and stockholder value by providing quality control from the seed to the table. We will make Honest John Crosby proud of us for doing the right thing by eliminating GMOs. Our shareholder resolution asks the company to develop a plan for phasing out GMOs and bring it to the next annual shareholder meeting. Vote yes to phase out GMO’s. Shareholders at Abbott Laboratories’ annual meeting sent a message to management and the Board of Directors that they are concerned about the use of genetically modified organisms (GMOs) in the company’s Similac infant formula. The second-year resolution, filed by As You Sow, was supported by 6.2% of shareholders, representing over $2.2 billion in shares. On Feb 2, 2014, the New York Times published an opinion article titled “We Need GMO Wheat”. As You Sow has published an open letter to the editor responding to the article’s misguided premise and factual inaccuracies. The assertion that the U.S. needs GMO wheat (“We Need GMO Wheat”, Opinion, 2/2/14) could not be further from the truth. GMO crops covering a majority of America’s heartland have created a food security crisis, increased toxic herbicide use, and have contaminated our food system leading to long-term negative health impacts. 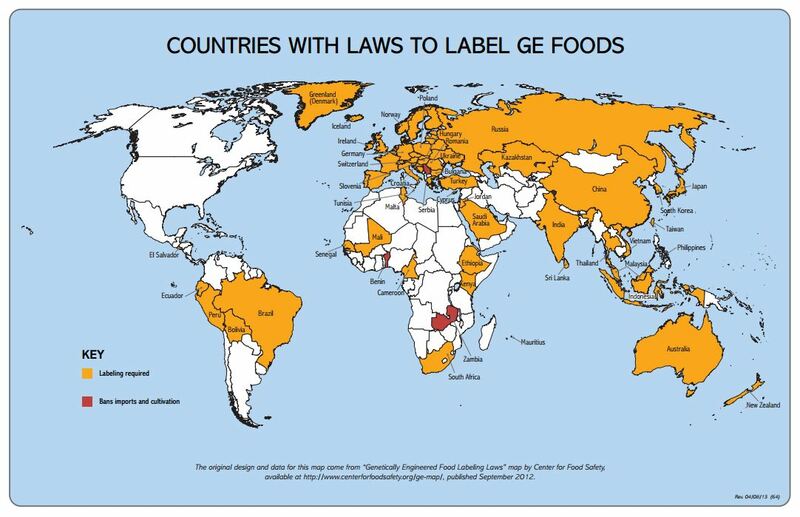 Recognizing the long-term environmental and financial risks, 64 countries now require labeling of GMOs. GMO monocrops are susceptible to blights like “Goss’s wilt”, a “tidal wave washing across the Corn Belt” (“A Disease Cuts Corn Yields”, 9/30/13). A 2013 MIT peer-reviewed study demonstrated that the herbicide Roundup, which GMO crops are engineered to tolerate, is “linked to a range of health problems and diseases, including Parkinson’s, infertility and cancers.” This toxic chemical is being aerially sprayed on millions of acres of “Roundup Ready” GMO crops and farm-adjacent communities. Micro-doses of this endocrine-disruptor are found in our food supply, including infant formula and children’s cereals. GMO crops have not delivered on their promise of ending world hunger. They have created record profits for a handful of seed/chemical companies and left the rest of us exposed to toxic chemicals and vulnerable to food shortages. We do not need GMO wheat, what we need is a policy that supports sustainable agricultural for generations to come. As You Sow engaged with General Mills in April 2013, requesting that it reformulate its iconic Cheerios product, which contained GMOs. The decision to transition this flagship brand is heartening, but it’s just the first step for shareholders. 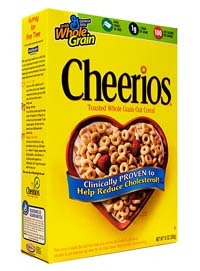 The company says that only Original Cheerios will be GMO-free, while the other 12 Cheerio flavors and other cereal brands will not – despite the fact that they produce GMO-free versions for sale in the 64 countries that label or ban genetically engineered food. As You Sow has long warned investors that a lack of transparency in food labeling is a material risk to brand reputation. The first General Mills shareholder resolution on GMOs was filed by the Adrian Dominican Sisters in 2000, and a recent consumer campaign by Green America added even more pressure. With polls showing public support for GMO labeling at 93%, many companies are failing to recognize consumer preferences in the marketplace. As You Sow has filed another shareholder resolution with General Mills, urging the company to continue the trend of reformulation. 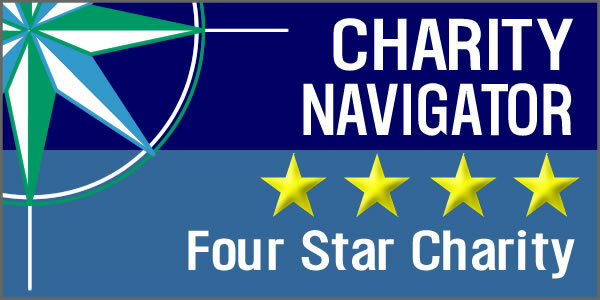 Shareholders will vote in the proposal in September 2014. The genetic modification or engineering of plants and animals has become a significant economic and social issue. As investor advocates, we are concerned that many companies are exposed to material financial risk from the economic, environmental, and public health issues associated with genetic engineering in the food system. Our GMOs initiative has addressed investor concerns about corporate governance among the firms that produce genetic engineering technology (including Monsanto, Dow Chemical, and DuPont). The influx of corporate money in politics, often secretly channeled through trade associations, is deeply unpopular among the American public and can contradict the company’s stated goals and positions. For example, over 100 major companies publicly cut ties with the American Legislative Exchange Council (ALEC) due to ALEC’s positions on climate change and other controversial issues. Our work promotes a fair and balanced public discourse about genetic engineering by promoting complete disclosure of corporate payments to trade associations, think tanks, grassroots groups, and similar organizations. As of 2016, 89% of corn, 94% of soybeans, and 89% of cotton in the U.S. is genetically engineered to be herbicide-resistant. Because many common food additives are made from these plants (such as corn syrup, corn starch, and cottonseed oil), it is estimated that 75% of processed foods in supermarkets contain GMOs. Independent researchers have documented the increasing environmental impacts and negligible benefits of genetically modified crops, and the significant and growing consumer preference to avoid them. From 2013 to 2015, As You Sow filed a shareholder resolution with Abbott Laboratories asking for removal of GMO ingredients from the company’s infant formulas. In presentations at Abbott’s annual shareholder meeting, As You Sow staff also called for the company to introduce non-GMO versions of these products. Shortly after the 2015 annual meeting, Abbott introduced non-GMO Similac; as of January 2016, Abbott offers non-GMO version of five Similac formulas. Glyphosate is the world’s most heavily used herbicide. It is sold in proprietary blends that contain other compounds, such as Monsanto’s well-known Roundup. Glyphosate is most frequently used in agriculture to kill weeds in crops that have been genetically engineered to survive glyphosate use (particularly corn, soybeans, and cotton). Glyphosate has been classified as a probable human carcinogen by the world’s leading cancer authority. National regulators in the U.S. and E.U. have not regulated glyphosate as a carcinogen, leading to a growing debate around the issue. Pre-harvest glyphosate use (also known as “desiccation” or “harvest-aid”) is a lesser known use of glyphosate that has begun receiving greater scrutiny, since it may be greatly increasing glyphosate residues on a wide range of crops. Some crops are harvested after plant foliage dies and seed or grain moisture decreases; applying glyphosate to these crops before harvest promotes drying (“desiccation”) in a more uniform manner. Monsanto encourages farmers to use Roundup to desiccate wheat, barley, beans, and other crops. Regulation of glyphosate lacks transparency and may not be sufficient to protect farmworkers, communities, and consumers from harm. As You Sow is engaging companies across the food, agriculture, and restaurant industries to investigate the risks posed by glyphosate.